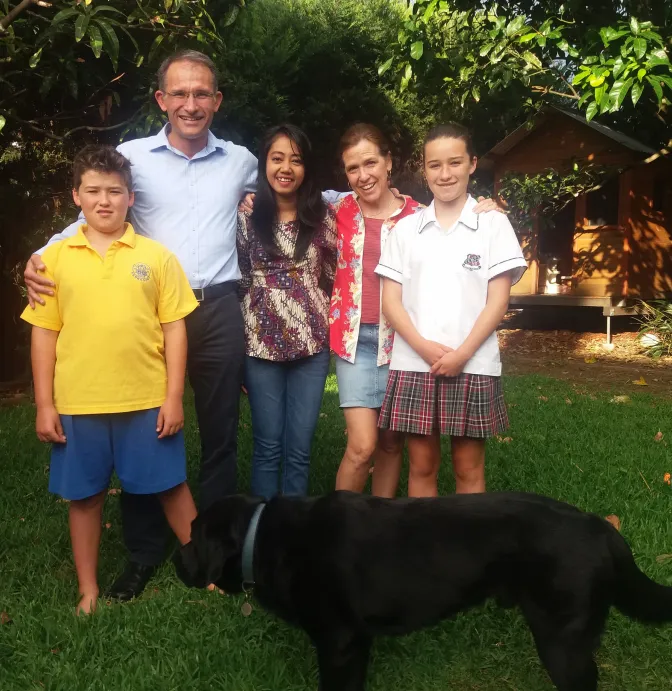 “It is a great pleasure to be hosted by O’Connor Family – they respected me and treated me as their real family member”. Not only did the family have dinner together, they also took some time after dinner to have conversations about things like how their day was, current issues in Australia or even to watch their favorite show together. And again, I was always involved in those routines…What I experienced is that no matter how busy they are on weekdays, they always make the best of time for their family. One of my favorite things about living with a host family was when I got the chance to do the things I have never done in my hometown. Our AIYEP hosting experience was a very memorable one, not only for my wife Monika and I but also our children and grandchildren. Puteri, the young lady assigned to us was an absolute joy to have stay with us. We were never surprised about this when entering the Program simply because we have a lot of time for the Balinese and the Indonesian people – Puteri was no different! The experience was a ‘cultural extravaganza’! 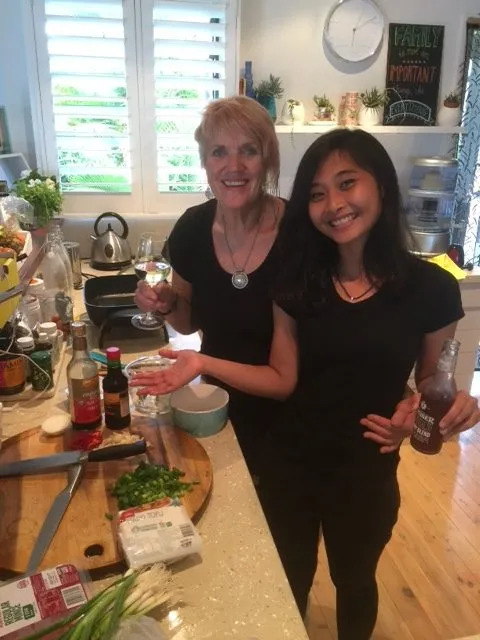 She brought Asian culture into our home for our family to enjoy, she even cooked a wonderful Balinese meal for us. We reciprocated and introduced her to cooking German Christmas cake (stollen). Puteri also introduced us to several of her Balinese colleagues visiting Australia on the 2017 program – they came to our home for a meal. We enjoyed some Indonesian guitar playing from one of the young men! Nice guys! Our family are visiting Bali late Dec for (3) weeks so we hope to meet up with Puteri once more! We had a wonderful experience on this Program! We highly recommend the AIYEP Hosting Program to future hosts.